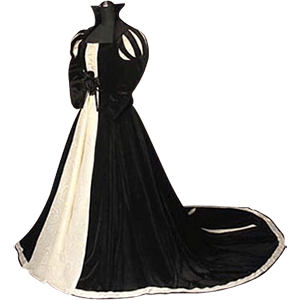 While planning the period wedding of your dreams, do not forget to scope out the beautiful wedding and handfasting apparel offered at Your Dressmaker. 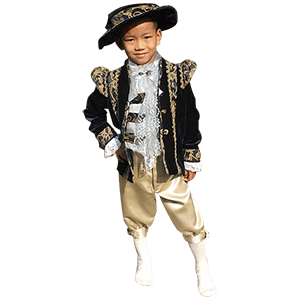 Our handmade clothing caters to a wide variety of historical themes such as renaissance, medieval, Victorian, Celtic, Scottish, and even gothic and steampunk genres. For brides enamored with the Renaissance, we offer elegant gowns with beautiful handstitched accents. 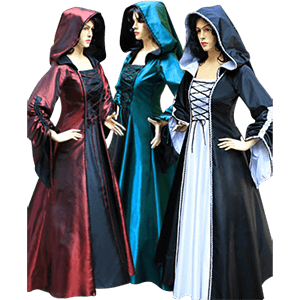 For the medieval maiden and her handmaids, we offer dresses and cloaks that are both authentic and unique. Country dresses, hooded gowns, and medieval chemises are among the lovely options for bridesmaids. 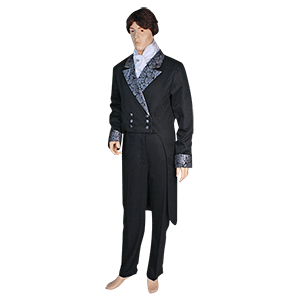 For the noble groom and his loyal attendants, we create medieval tunics, shirts, jackets, cloaks, and more with options in colors, fabrics, and styles. If you wish to perform your vows by following an ancient ceremony, we have ritual robes and hooded capes that will add a mystical touch to a cherished moment. For the Scottish lad and lass who wish to celebrate their heritage, we offer kilts and tartan gowns. At Your Dressmaker, we wish for your period wedding to be full of pleasant memories and historical moments. Entrust our skilled team of tailors with crafting wedding apparel worthy of this special day. For the handmaidens honored with the task of accompanying a medieval bride down the aisle, Your Dressmaker offers a unique, yet authentic, selection of historical gowns, robes, chemises, hooded cloaks, and more. Whether the bride and groom chooses a theme from the Renaissance, the Middle Ages, the Victorian Era, and so forth, our skilled tailors will craft a bridesmaid dress suitable for your role. If you need a ritual robe to perform an ancient Celtic ceremony, or a tartan gown that celebrates Scottish tradition, we are certain you will discover something amidst our unique designs. Perhaps you seek a lovely gown to attend a Renaissance bride. Maybe you need a wide sleeve chemise to match a medieval atmosphere. On the other hand, you could add a touch of mystery to your role by donning a hooded dress. Whatever theme is chosen for this momentous occasion, our handmade garments will ensure you are successful in performing your duties in support of the union between you dear friends. We not only offer an amazing assortment of styles, but also allow you to choose between colors, fabrics, and other extra features. 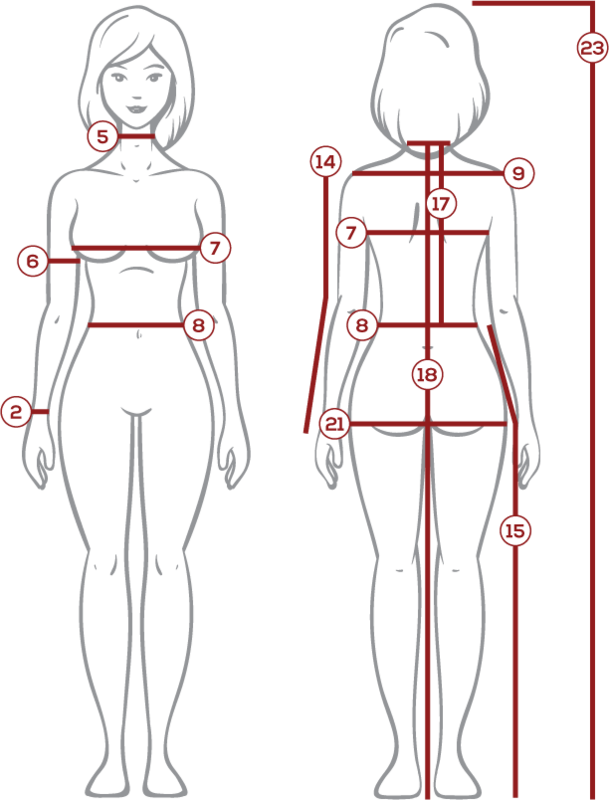 So, take a closer look at all the lovely bridesmaid dresses available at Your Dressmaker.